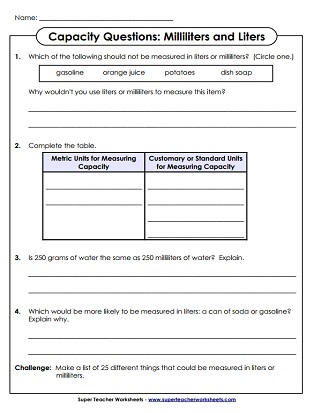 Use these printables to help students learn about measuring capacity, or volume, using metric units. 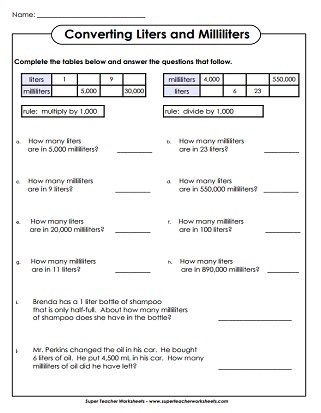 Skills include estimating capacity in milliliters and liters, as well as converting units. 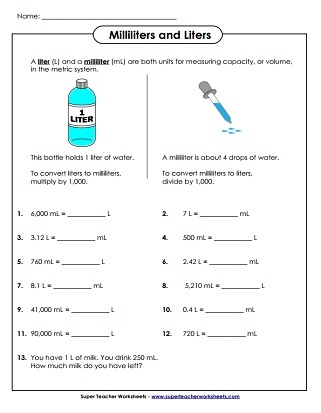 Four critical thinking questions about measurement with liters and milliliters. Measure the volume of the liquids in milliliters for the graduated cylinders.